Secure This Superb First-Ever Lincoln Commemorative Coin! 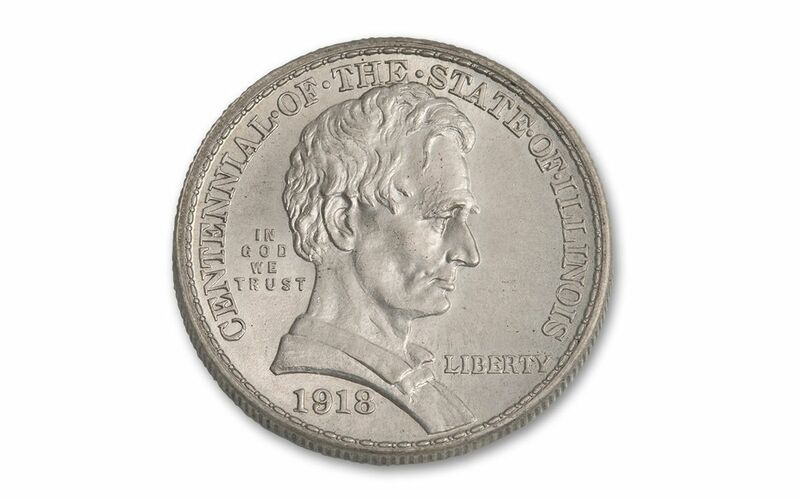 This 1918 Silver Half Dollar was struck to commemorate the 100th anniversary of Illinois' admission to the union. And who better to portray on the coin than Abraham Lincoln, the state's most famous resident? Here, Lincoln is presented without a beard -- just as he would have appeared right before travelling to Washington for his inauguration. You may be asking -- if he didn't have a beard before becoming president, why do we always see him depicted with one? Legend has it that he grew a beard after receiving a letter from 11-year-old Grace Bedell. The little girl suggested that it would improve his appearance. Lincoln agreed, and a beard was born! This is the first-ever commemorative coin to depict Lincoln. 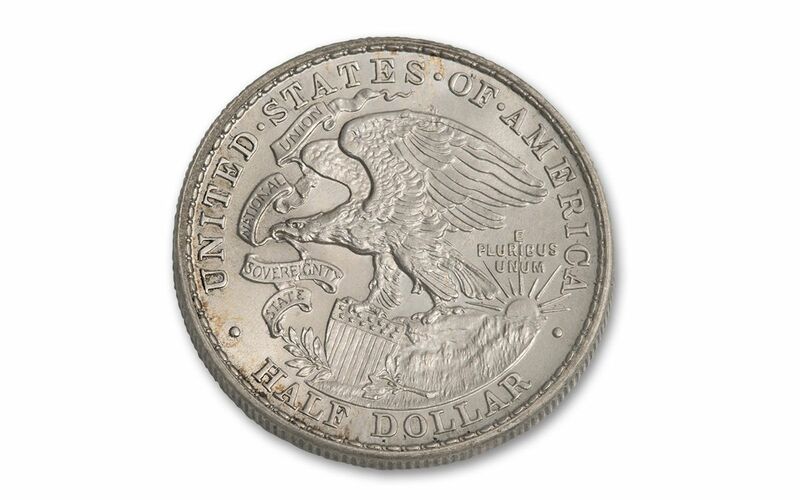 The obverse of the coin was designed by George T. Morgan, creator of the Morgan Dollar. The reverse was created by mint engraver J.R. Sinnock and shows elements from the Illinois state seal. These coins are hard to find in this exalted grade. 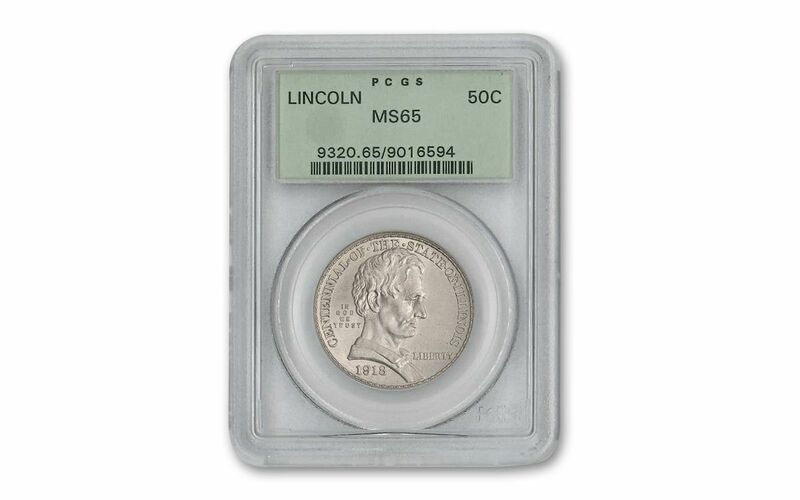 Fortunately, we've located a few examples of this special commemorative, graded Mint State-65 (MS65) by Numismatic Guaranty Corporation (NGC) and Professional Coin Grading Service (PCGS). The grading service that inspected and certified your MS65-graded commemorative will vary between the two. Don't wait another moment -- add one of these 1918 Lincoln Commemorative Half Dollars to your collection before our supplies are shaved away!